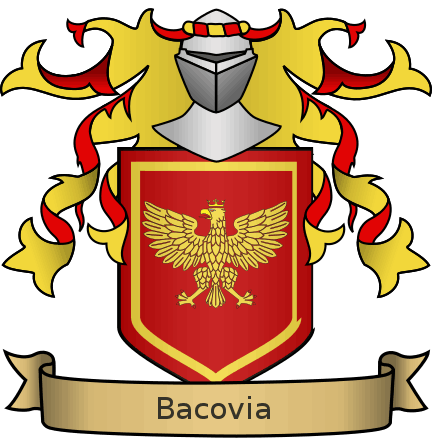 Bacovia is the largest of the kingdoms in Obyra. It is well known for the huge expanses of arable land, though it also has large forests and some minerals and gems from the mountain range that runs along the western edge of the kingdom. 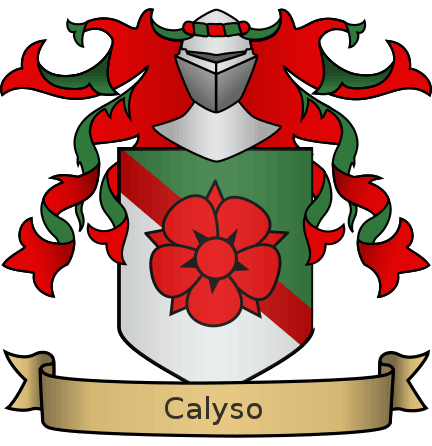 Calyso is a small, narrow kingdom along the eastern coast of Obyra. It is seperated from Bacovia by a tall, nearly sheer cliff, making travel into the kingdom somewhat difficult. 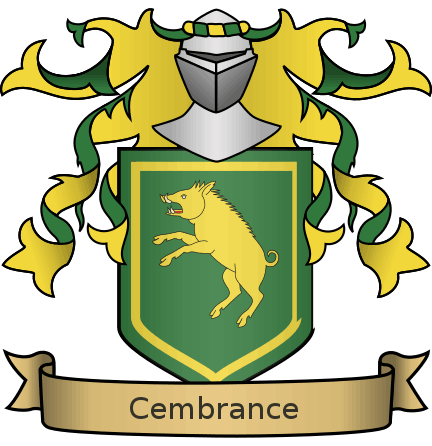 Cembrance is one of the most isolated kingdoms in Obyra, with the sea to the west and mountains to the east. The mountain range even curves around to part of the northen and southern borders, but there are many different passages through them. The realm has good agricultural lands, and the mountains provide metals, along with occasional gems. 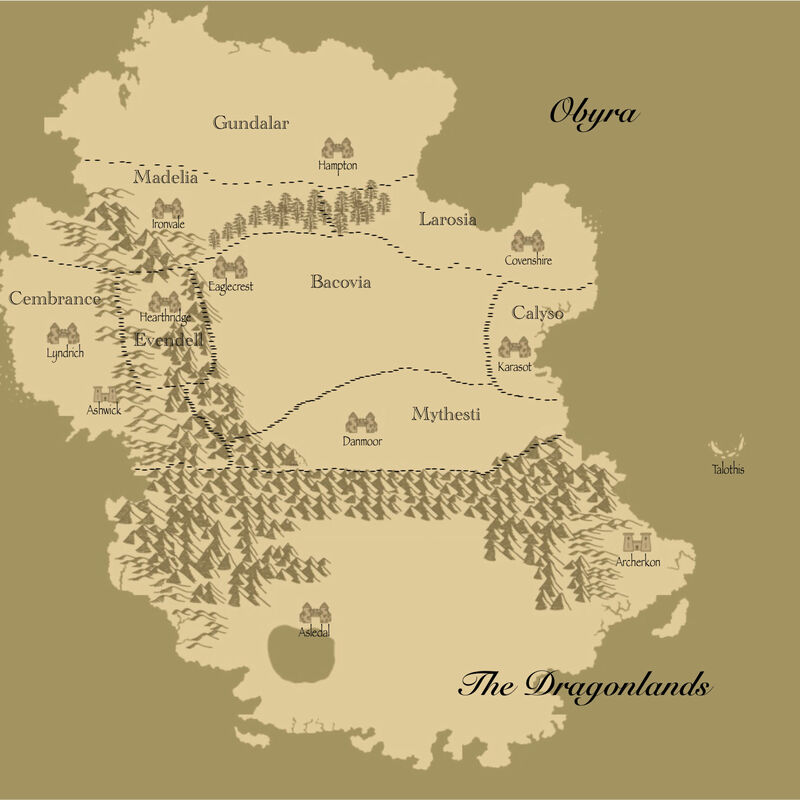 The Dragonlands is nearly as large as the eight kingdoms of Obyra, combined. This suits the dragon citizens of the kingdom well, as they tend to be somewhat territorial and require a good amount of space to stretch their wings. 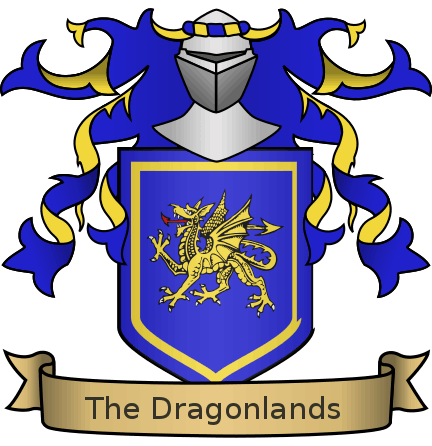 The Dragonlands are bordered by an impassable mountain range to the north, cutting the kingdom off from Obyra by land. Evendell is the smallest kingdom in Obyra, and is entirely mountainous. While the terrain makes it difficult for the kingdom to grow its own food, the mountains provide more than enough metals, gems and gold for the crown to purchase what it needs. 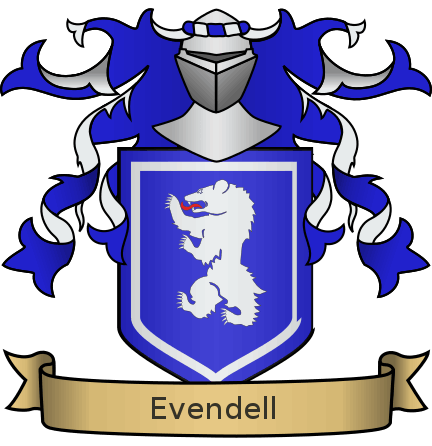 Evendell is a wealthy realm. 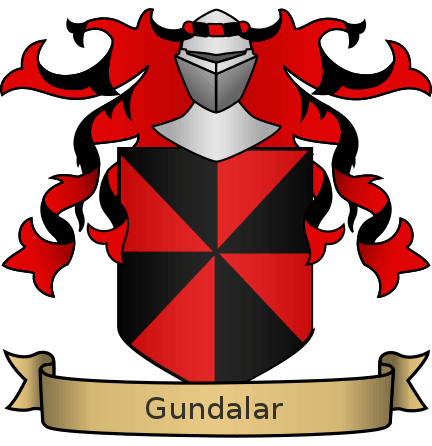 Gundalar occupies the northern part of Obyra, the largest kingdom based on area, though much of it is uninhabitable. The southern border is forested, while the northern stretches of the land are a frozen wasteland. 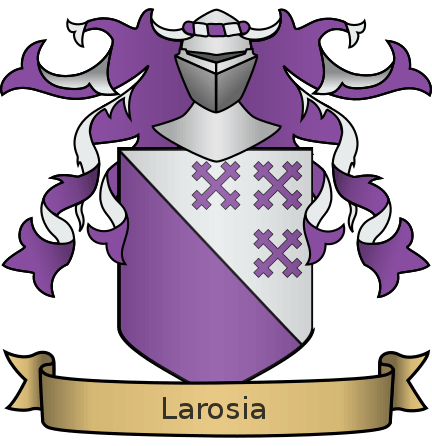 Larosia is one of the northern kingdoms in Obyra, and is varied in its terrain. Citizens of this kingdom can drive a sled, farm the land, and sail a ship on the ocean. 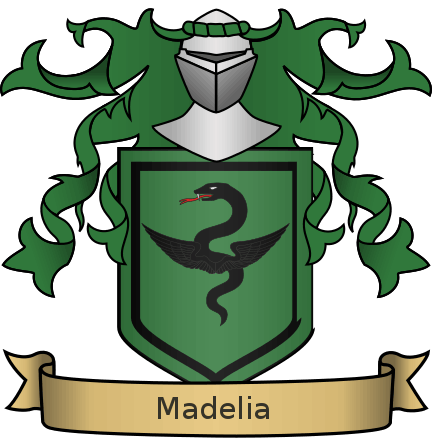 One of the northern kingdoms in Obyra, Madelia's location gives the realm a significant disadvantage. While there are many forests, giving the kingdom a strong trade in lumber, there is little arable land. 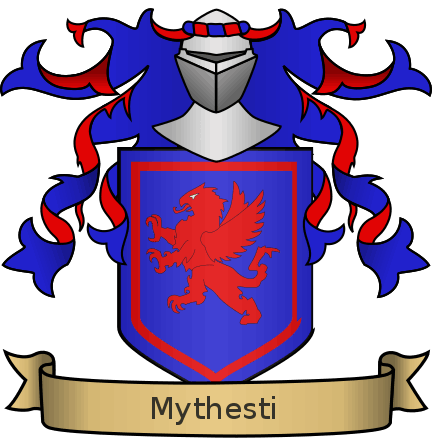 Mythesti is a poor kingdom that has suffered a lot in the past. The land is not particularly fertile, and if the farmers do manage a decent crop, they almost always lose some to insects, hail, or early frosts. There are rumours that the kingdom is cursed, and there is a prophecy that a magically gifted child of the royal family will be the one to bring prosperity to the kingdom.